You are hereHome / Live like a local: A guide to Italian wines. Live like a local: A guide to Italian wines. Italy is blessed with a climate which nurtures exceptional vineyards and as well as a history which sings of delicious wine-making throughout each of its 20 regions. The trend of wine-drinking conquered the UK a while ago, it is widely believed, along with the Romans. By the Middle Ages, we were experimenting with green fingers and by the time of Henry VIII rose to the throne, England and Wales boasted 139 sizable vineyards and the UK now houses nearer to 500! In spite of all this, the wine culture in the UK still does not compare and it is easy to become overwhelmed in front of the infinite variety of Italian wines. While the most prestigious wines are well known abroad, there are countless local ones whose names are often not even familiar to Italians from a neighbouring region. This doesn’t mean that they aren’t as good – quite the contrary in fact! Some wines are certified by Italian labels guaranteeing that the wine was produced only in a specific area using traditional methods and the right type of grapes. The most famous labels are DOCG and DOC. IGT wines come from areas known for producing that particular type of wine. In Italian supermarkets and restaurants you are likely to find wines from the top wine-producing regions. Chianti, Franciacorta, Piedmont and Sardinia for instance. Wines from these areas tend to be widely available and they are best-sellers in Italy as much as abroad. However, people also have the tendency to choose their wine locally. The choice does not simply sustain regional economy. Local wine usually perfectly enhances the flavours of local cuisine, based on ingredients from the same territory and grown from the same soils. Soil develops certain qualities based on the climate and surrounding area and this influences the grapes in the same way that it does other fruits, vegetable and even livestock and fish. The most widespread local wines, especially those coming directly from little vineyards, are usually very pleasant to drink despite the relatively modest price. In shops, you can easily find wines labelled as vino da tavola, or ‘table wine’. 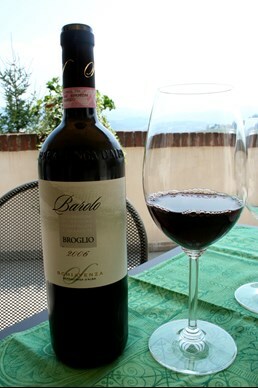 This is the typical wine that many Italians would put on the table to accompany their meals. Since a glass of wine at lunch or dinner is frequently almost a daily choice, people keep the cost of wine down by choosing less refined wine. If cleverly chosen from the right wine-maker, vino da tavola can be a great option and is certainly nothing to be scorned at. In restaurants, the so-called vino della casa, or house wine, is chosen following the same principle. The restaurant orders larger quantities of a selected wine from a wine-maker and therefore is able to offer it for a cheaper price. So, what wine do Italians drink? They are likely to choose a good local wine for daily consumption and open a bottle of a special labelled wine on special occasions. When in Italy, try choosing wines from the region you are visiting and ask locals for recommendations: Italians are very proud of their regional products and will be more than happy to help you!